Die kleinen Holzsternchen gibt es im polnischen shop bei Wycinanka. Der Versand ist zügig und die Versandkosten wirklich günstig. SO klasse, die Sternchen sind wirklich universell einsetzbar. What a pretty card! 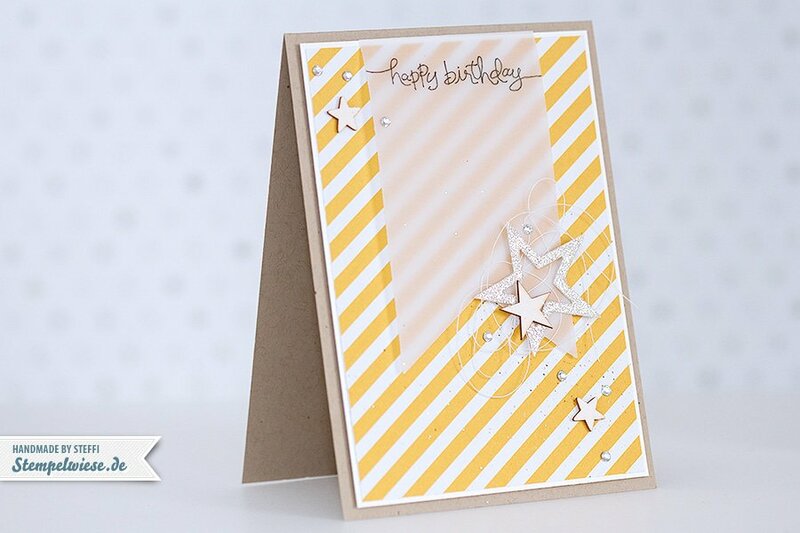 Love the stars and the vellum with the yellow! The extra sparkle is perfect! Glad you shared this at FMS! This is fantastic! 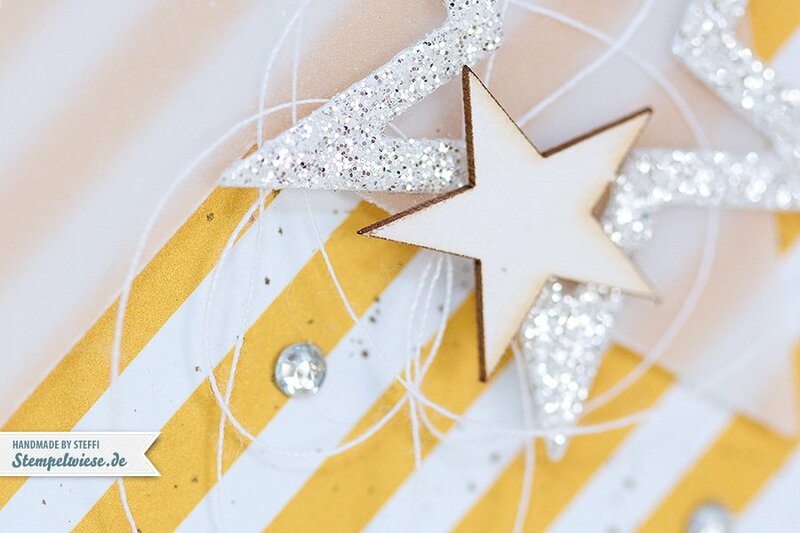 I love the vellum layer, the glitter and wood veneer stars and all that bling! Thanks for joining us at Freshly Made Sketches! What a beautiful card, I love it to pieces! TFS! Absolutely beautiful! 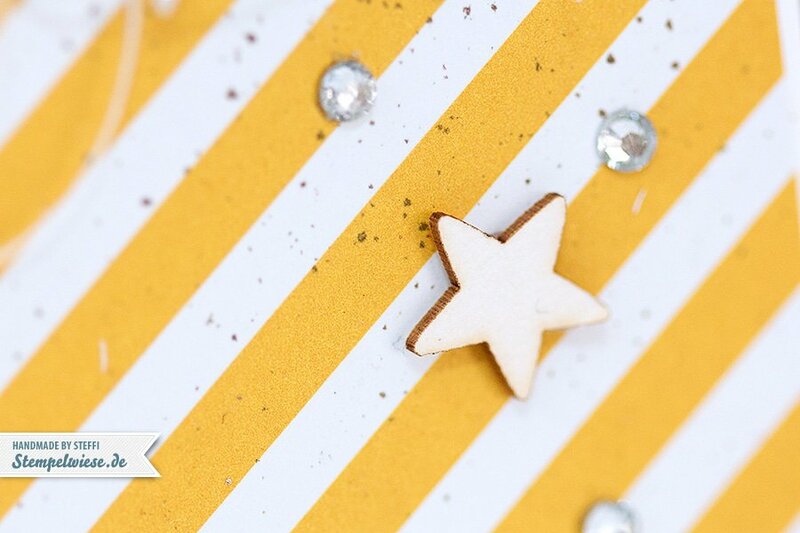 I love these colours and stars together. Thanks for joining us at FMS this week! WOW,die Karte is genial! Ich liebe den gelb/weiss gestreiften Hintergrund und die Sterne sind super schön! !